The Clifton Chronicles continues with this fabulous second installment that saw Archer’s unsurpassable ability to weave a story so intricate that it sets readers on an edge as they devour the book in a single greedy swallow, unable to put it down amidst all the twists and turns it offers. The book begins where Only Time Will Tell let off, with Harry assuming the identity of fellow shipmate Thomas Bradshaw in an attempt to free Emma of any sense of obligation she might feel and offer Giles an opportunity to claim the Barrington fortune. Of course the plan doesn’t go as expected when Harry (impersonating Bradshaw) is arrested for first degree murder of his own brother. On top notch lawyer Sefton Jelks’ advice Harry continues to fake being Bradshaw in anticipation of a lighter sentence, only to be tried, found guilty and sentenced to six years in prison. The only way out is to reveal his true identity, which is out of question since it would foil his original plan. Meanwhile Emma travels halfway across the world to look for the man she loves, unable to accept his untimely death, with only the single letter that Harry wrote to his mother as proof- one that had remained unopened on a Bristol mantelpiece for over a year. 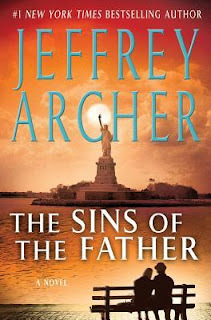 Jeffrey Archer’s impressive writing style coupled with engaging characters who face various difficulties set in the backdrop of the Second World War offers an enthralling reading experience. Harry’s quest for freedom, Emma’s determination to find her lost lover, Giles’ decision to prove himself different from his scoundrel father, Maisie’s efforts to reconstruct her life and Hugo Barrington’s usual a-hole behavior spell an enchanting story which keeps the reader hooked on. The fast pace of the story as it jumps from Bristol backstreets to Nazi camps to the boardrooms of Manhattan, is a right treat for the readers. Does Harry get out of prison and fight for the Crown against Hitler as he had originally desired? Does Emma find her lost lover and the father of her son Sebastian? Does Giles succeed in getting rid of his fears and abandoning the coward’s way out unlike his wayward father? And does Hugo Barrington come back to Bristol to claim his family and fortune? In Archer’s new novel family loyalties are tested, secrets unraveled and questions answered. Highly recommended with a 4/5 star rating!